I wrestle with a sentence in the novel I’m working on. It won’t behave. I grapple at it, stronghold it, and still, it won’t cooperate. I take a sip of tea and stretch my arms. At my window, a golden light slivers through the blinds, beckoning, and I give up. I put on my shoes, run a brush through my hair and zip down the stairs, grab my car keys and I’m out the door to take a drive on this beautiful autumn day. Autumn always inspires me. Perhaps it’s the riot of color that’s so intense, I cannot “see” enough. Perhaps it’s something deeper. It’s just what I need to replenish my creative well – to get inspired to continue writing. I had nearly forgotten that driving or walking out in the beautiful countryside on an autumn day is intoxicating. I had forgotten how it nourishes every tiny corner in myself. And I need it desperately. 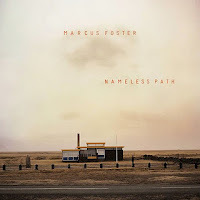 As I’m driving, I listen to one of my favorite British musician’s CDs – Marcus Foster’s “Nameless Path,” and the music soars through me and the golden sunlight so completely that I can barely contain myself behind the wheel. Everywhere – everywhere – red, burnished-copper and yellow trees clamor in a chorus for my attention over the hillsides. Sunlight shimmers like diamonds on the leaves. A few float in front of me, laughing at my naïveté. And I free-fall into the beauty head-over heels into this autumn world of wonder where creative thoughts explode and inspiration takes hold. As writers, musicians, artists, sculptors, dancers, travelers – it serves us to consciously and continuously find windows to the world of wonder. To the world of creativity. We must locate places that open the trapdoor to our imagination and allow the breath – the soul – the story – the music – of greater worlds to enter our too-claustrophobic lives. Whether it’s an autumn drive, our favorite music, or a walk into the world, we must find these doorways beyond our ordinariness. Imagination is not linear. It needs to step beyond ordinary time and space. We all need a window for the imagination – for the writer in us – for the musician in us – for the artist in us. 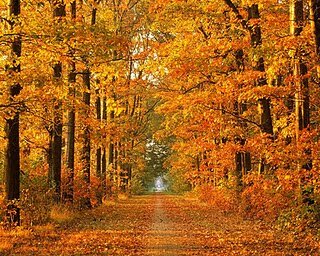 We need a time and place to roam carefree through the autumn countryside on a golden sunny day that’s peppered with orange pumpkins and scattered dreams. So often, we try to force ourselves to face a harsh and difficult world when we might, instead, soften both ourselves and our world just by slowing down…slowing down with the beauty of the day, with the music of our heart. We all worry rather than ruminate. We fret rather than speculate. 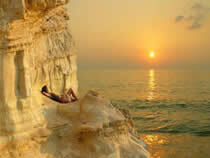 So often, we feel there is so much we yearn to do and so little time to do it. We are all far more multiple and rich than most of us assume. We are far larger and more colorful, far more powerful and intricate, far more deep and far more high than we often concede. It is one of the mysteries of the creative life that when we stop and become willing to listen, the “still, small voice” seems to grow louder. I “listen” with my drive into the autumn countryside. I “listen” while music opens the trapdoors. This is when the well of creativity is filled. For now, I am full of story, full of music, full of autumn wonder. I am in love with the gold, the red, the yellow, the clouds, the sun, the moon, the air, the sky, the trees, the music. I am in love with life. In the measure to which we are responsive to it.